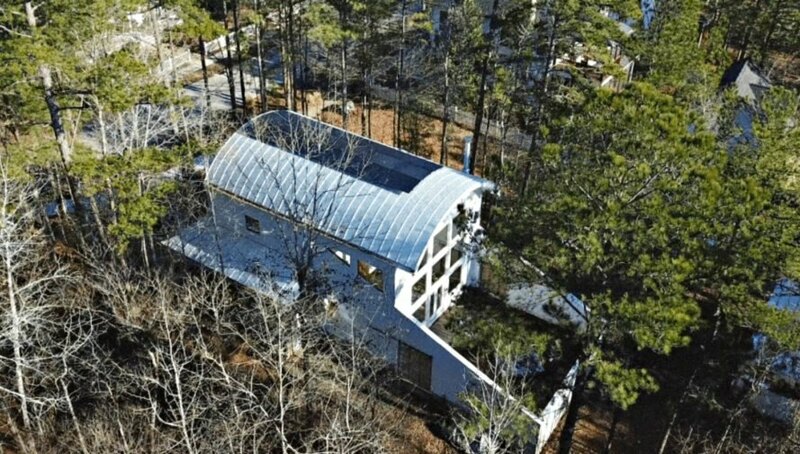 Almost 15 years since the sustainable community of Serenbe built its first home, the modern-day green utopia is still thriving. 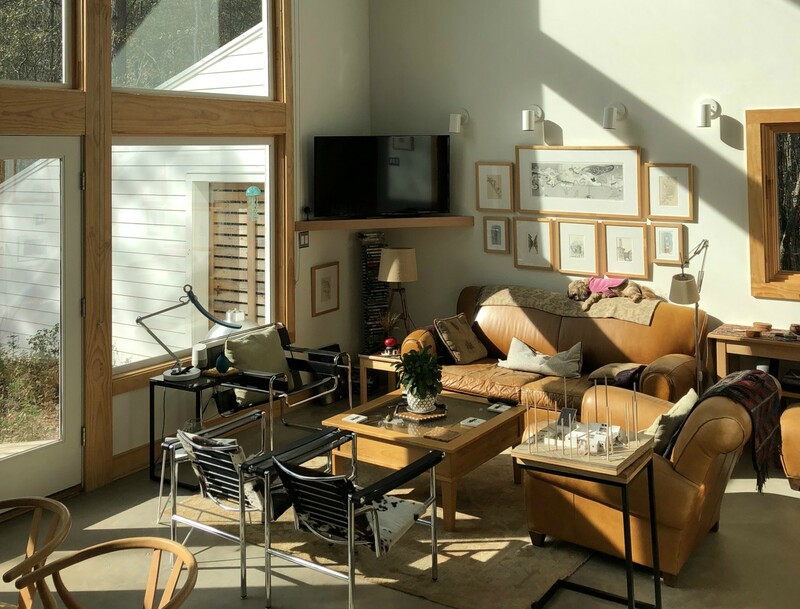 Located just southwest of Atlanta, Serenbe is an experimental green community designed by architect Dr. Phill Tabb, who lives on site in a net-zero home. The progressive neighborhood, hidden amid 1,000 acres of natural forest landscape, was created with four main pillars in mind: arts, agriculture, health, and education. In 2001, architect Dr. Phill Tabb designed the masterplan for Serenbe Community – a sustainable neighborhood set in a natural landscape, but with connections to the typical urban amenities. One of the core pillars of the community’s plan was land preservation. Accordingly, the homes were built into strategic locations throughout the hilly landscape that would minimize the impact on the surrounding environment and give residents easy access to nature. Nearly all of the homes at Serenbe abut a natural area, and manicured lawns are not allowed. All landscaping is natural and edible. The homes themselves are heated and cooled with ground-sourced heat pumps. Most use grey water systems, and a community-based vegetated wetland treats all the wastewater. Today, over 600 residents live in the hamlets, which are connected to the surrounding restaurants and shopping areas via walking trails. Each hamlet reflects a different pillar of the community. For example, Selborne Hamlet is geared towards the visual, performing and culinary arts. 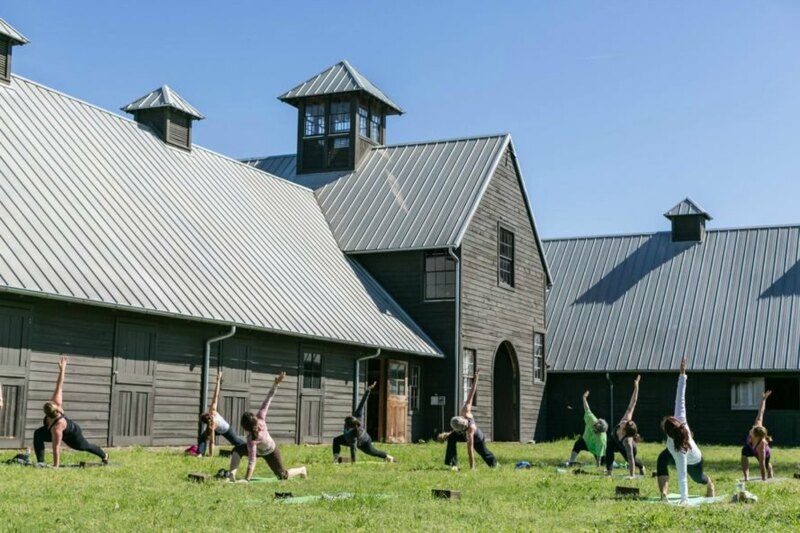 Grange Hamlet sits adjacent to Serenbe Farms, a 15-acre organic farm. The third neighborhood, Mado Hamlet, integrates health and wellness functions with community, including a destination spa, recuperative hotel, fitness center and additional centers. The hamlets were developed one at a time, each one more sustainable than the last. The Grange Hamlet saw the construction of the community’s first off-grid homes, which have become more and more prevalent as the development continues to grow. Residents of Serenbe enjoy a wide range of amenities, including restaurants, retail shops, and co-working spaces, all of which work around the community’s eco-friendly core values. In fact, the development is home to the Blue Eyed Daisy, the country’s smallest Silver LEED-certified building. For the past year, Dr. Tabb has lived within the community he designed. 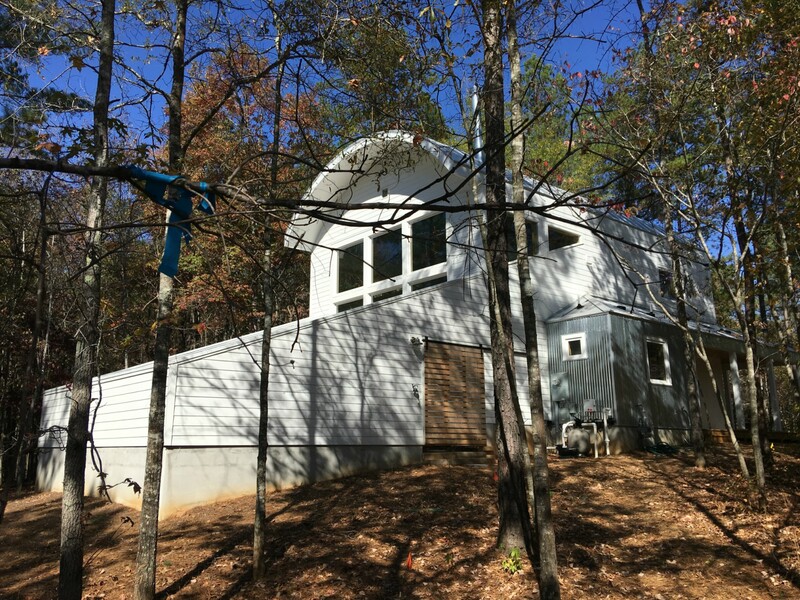 His net-zero Watercolor Cottage, built in accordance with EarthCraft building standards, is surrounded by a wooded lot on three sides. A large glazed wall opens up to an outdoor fruit and vegetable garden integrated into the home’s layout. The two-story structure has a passive solar heating system, as well as geothermal heating and cooling systems. A rooftop PV solar array provides the home’s electricity needs, and works in conjunction with a Tesla Powerwall system. 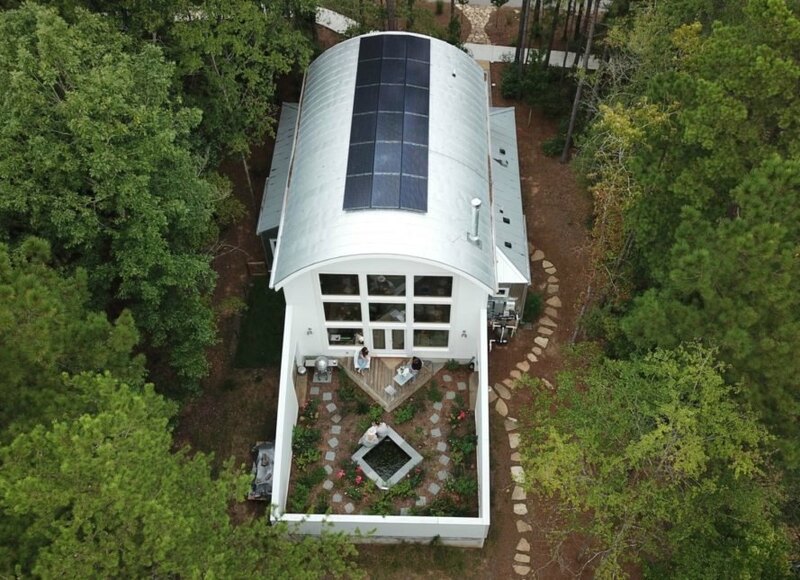 Dr. Phill Tabb's net-zero home in the Serenbe Community. An aerial view of Dr. Tabb's home. The wellness spa in Serenbe. 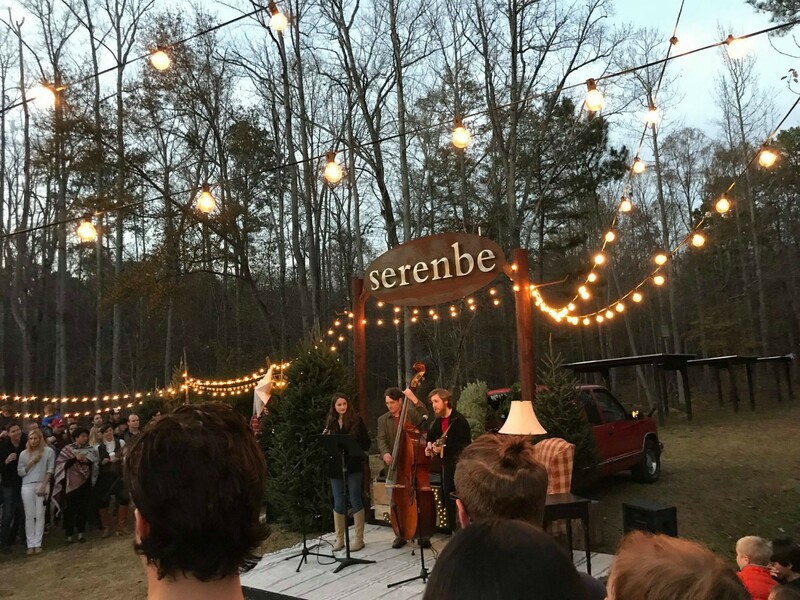 The Serenbe community organizes various events throughout the year. A garden set in the Serenbe Community. The homes in the Serenbe Community are sustainable. The Serenbe Community and Dr. Tabb's house as viewed from above.